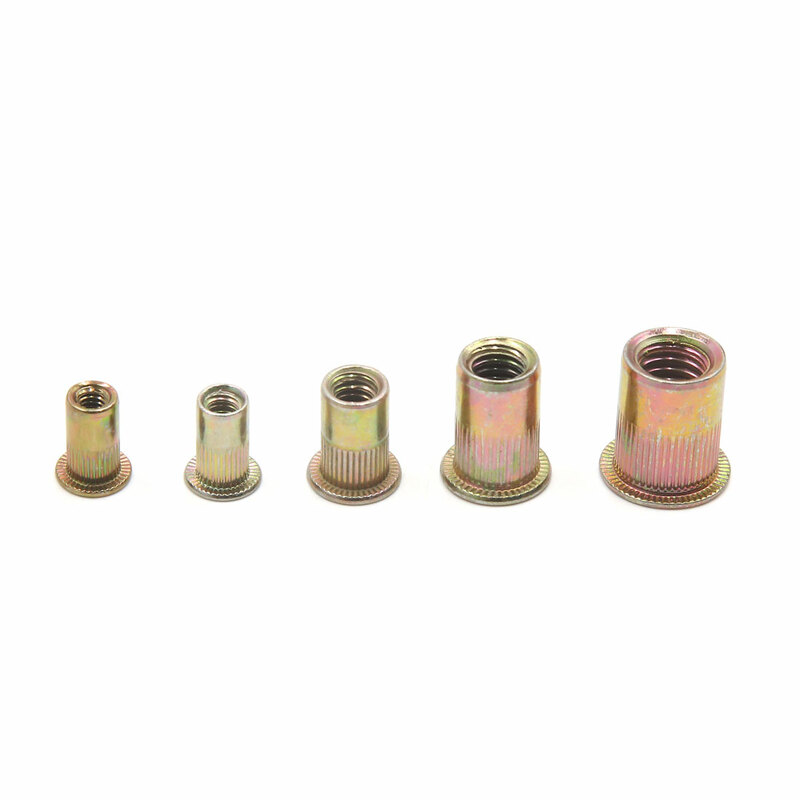 A Rivet Nut fastener is a tubular rivet with internal threads. It can be installed in seconds form one side of the work. Once installed, they are permanently attached to the mating material, allowing the associated nut to be removed in service without the risk of the fastener becoming dislodged. Also are used when an application has little or no access to the backside as they can be installed from the front side of the work piece. Flat head cap screws, knurled body for anti rotation and more durable.